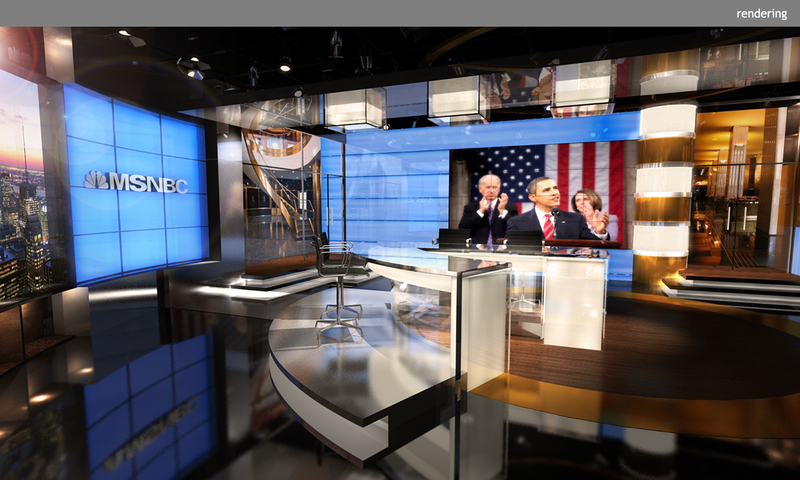 Studio 3K is a high-tech studio that plays host to several shows for both NBC and MSNBC. 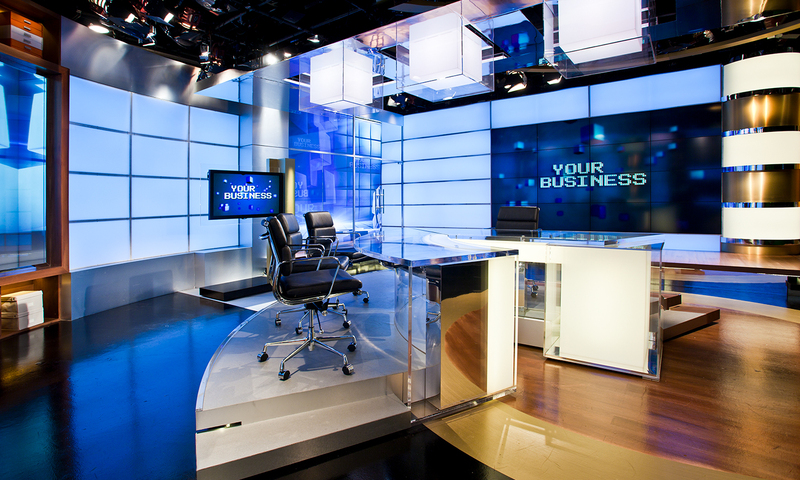 The anchor desk can be shot in multiple directions, offering background flexibility. 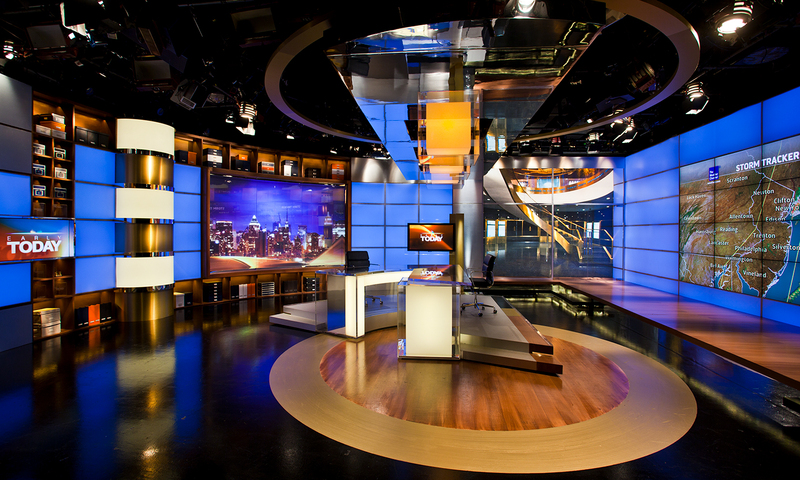 Complementing the technology, doorways created within the studio offer longer perspectives to spaces beyond and a sense of connection to the extensive capabilities of the network.